If so, then you’re in the right place. This post explores the various ways that you can expand your retail business. If you’re looking to invest in growth, one (or more) of these options could be right for you. Opening new stores is a common expansion strategy for many retailers. Setting up shop in other locations will enable you to widen your brand presence offline and reach new customers. If opening new shops is on your radar, recognize that the success of your multi-store operation will depend on how well you balance two things: your local strategy and the standardized components of your business. Expanding to new locations doesn’t mean creating carbon copies of your original store. While much of your branding and processes may remain the same, you should also inject a local flavor into each shop. This will enable you to connect with local shoppers and gain their business in the process. An excellent example of a retailer with a strong local strategy is LifeLine Repairs, a chain of 20+ stores offering repair services for electronic devices such as smartphones, tablets, and computers. Kestas Masanauskas, the Chief Operations Officer at LifeLine Repairs, says that their local strategies allowed them to establish a strong presence in each community they serve. Kestas does a lot of research on each location, and he and his team craft clever outreach initiatives to fit each market. For instance, when they opened a store in Boise, Idaho, the LifeLine Repairs team discovered that the location has an incredibly strong biking community. So to connect with the market, LifeLine Repairs decided to implement an outreach effort that involved bikes. “Now, that type of thing wouldn’t work in a location like downtown Chicago, where we also have a store,” continued Kestas. The takeaway here? Have a local strategy for each of your stores. When opening additional locations, get to know each new community and tailor your marketing, sales, and customer service to their needs. While you can (and should) be creative with your local strategies, your core procedures, policies, and technologies must be standardized across all your stores. Let’s start with the tech side of things. Using the same software and hardware to run your stores will make your business much more manageable. Setup becomes simpler, and it’s easier to train new employees (no matter what store they’re assigned to) when you’re using a uniformed system to run your locations. Take LifeLine Repairs as an example. 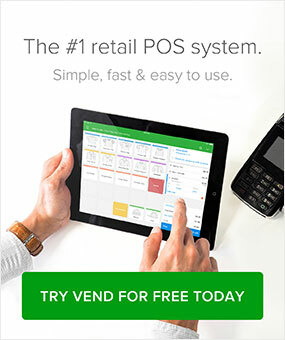 According to Kestas, they use Vend in all their locations, and this makes it easier for them to add and operate new stores. LifeLine Repairs also standardized a lot of their stores’ components, including equipment, furniture, and even inventory storage. Then they use step-by-step guides and flowcharts to help franchisees get familiar with how the business runs. According to Kestas, doing all these things allows them to easily replicate each store, thus making their expansion incredibly efficient. Not too keen on opening new stores? Consider diversifying your channels, instead. Consider the story of Bundle Boutique in Christchurch, NZ. Bundle has been selling maternity and childrenswear for six years when they decided to set up an online store. This enabled them to reach a wider audience and helped them grow their customer base practically overnight. According to Bundle Boutique’s owner Eneka Burroughs, within just 72 hours of launching her ecommerce store, they received 46 orders—80% of which were from new customers. “This is money I never would’ve made otherwise,” Eneka told us. Other retailers choose to open up additional revenue streams by selling on online marketplaces such as Amazon, eBay, and Etsy. Take, for example, home and giftware store Carrot Tomato. In addition to selling through a brick and mortar store and ecommerce site, they’re also selling their products on eBay. Founder Mai Wong says that some of their customers prefer marketplaces like eBay, so they decided to create accounts on the site. Doing so enabled them to not only increase sales but also drive traffic to their branded ecommerce store, since they enclose their business card in each eBay order they ship. More and more consumers are shopping on the go. Expanding to the mobile realm gives you the ability to keep up. Fortunately, if you already have an online store, going mobile shouldn’t be that difficult. Plenty of ecommerce platforms these days offer mobile capabilities so you can sell to your on-the-go customers with ease. Vend Ecommerce has mobile-friendly and responsive themes so your online store will look and behave beautifully on any device. 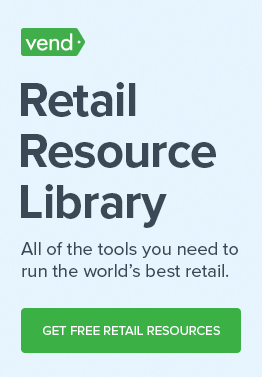 Already got brick-and-mortar, ecommerce, and mobile covered? Consider expanding to the social media realm as well. If you have a large and engaged social following, it may be worth exploring social selling opportunities. Have a look at Nordstrom’s social commerce initiative. The apparel retailer has integrated their Instagram account with a solution called Like2Buy, allowing them to make their Instagram feed more shoppable. Customers who’d like to purchase the items they see on Nordstrom’s Instagram account can head to the retailer’s Like2Buy page, where they can easily view product details and proceed to checkout. Or check out what Vend customer TopShelf Boutique is doing. TopShelf uses a service called Soldsie to engage in Instagram selling. Shoppers simply need to comment “sold” when they see a photo of an item they want to buy, and Soldsie will generate an invoice for the transaction and send it to the customer. 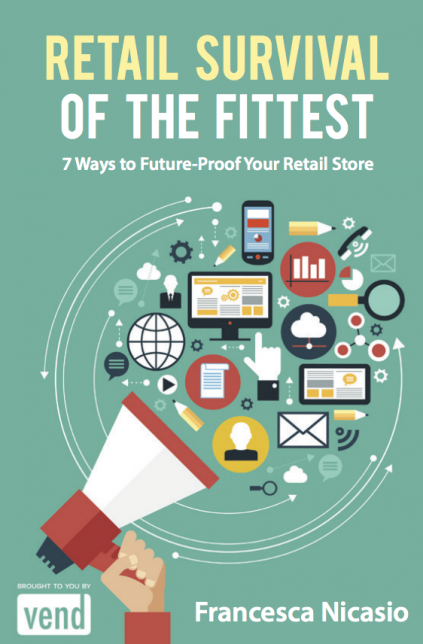 Looking to sell online, in-store, and on mobile? Be sure to keep you channels connected! Get your different sales channels to “talk” to each other, so you can manage your inventory and sales seamlessly. Check out our guide to going omnichannel to learn more. Adding new items or services to your catalog could help you grow your business. A great way to go about this is to think of any related products or services that you can sell. Are shoppers requesting anything in particular? Is there anything they really need, but you aren’t selling yet? Let’s go back to Bundle Boutique’s example. According to Eneka, diversifying their products was one of the strategies that led to their company’s growth. She said that her store started off by selling just maternity clothes, but they soon started providing children’s clothes as well. “Moms don’t want to just buy clothes for themselves. There are so many things they need to buy, and we’re in a really good position to help them do just that instead of just waving them away after they give birth,” Eneka said. You could also look into offering services on top of the products you already offer. Think of ways to help customers make the most out of what you’re selling and see if you can provide those services to them. Check out Shoes Feet Gear, a footwear and training gear retailer that doubles as a podiatry clinic. In addition to selling running shoes and apparel, they also offer podiatry services to help treat foot, heel, or knee pain, shin splints, and more. Some retailers are diversifying their products and services even more by venturing into new markets. One company that successfully pulled this off is Birchbox. The subscription service, which started out by sending female consumers boxes of beauty products, soon expanded its business to tap into the male market. In 2012, the company launched Birchbox Man, which delivered personalized assortments of grooming products to their male customers. Of course, venturing into a new market comes with risks, so before diving into a whole new customer base, do thorough research and test your ideas. It also helps if there is already an existing demand in that particular market. The results gave them the knowledge and confidence that people would actually sign up, and so they moved forward with Birchbox Man in 2012. If you’re really set on expanding into other geographic markets, but don’t have the funds (or the confidence) to set up a full-fledged retail store, consider setting up a pop-up store instead. In addition to helping you minimize spending (retailers can save up to 80% by opening a pop-up vs. a traditional store), pop-up stores allow you to test the waters in a particular location so you can determine whether or not it’ll be worth it to set up a more permanent store. Birchbox, once again, serves as a great example of this expansion strategy. In 2015, the beauty subscription services launched Birchbox Road Trip, an initiative that would allow the company to determine where they should open their new locations. The company invited users to vote on cities where they wanted to see Birchbox, and the winning locations (which ended up being Chicago, Atlanta, and Los Angeles) will get their own Birchbox pop-up stores. The retailer will then gauge the performance of each store to determine where they would set up their next permanent stores. A good way to go about your expansion (whether it’s expanding to a new market or offering new products or services), is to leverage the assets of other businesses. You can do this by partnering with a company in the market you want to target. The main advantage of this strategy is the fact the business you team up with will already have the assets and resources required to win the market that you’re targeting. For example, if you want to expand your women’s fashion line to menswear, you can partner or acquire an existing male fashion business instead of developing new products from scratch. Or, if you’re looking to expand by providing new services, then why not look for a company that’s already offering that service and go from there? IKEA did just that last year when it bought TaskRabbit, a marketplace that connects consumers with service providers. Then in March 2018, months after the acquisition, IKEA started offering furniture assembly service in the US care of — you guessed it — TaskRabbit. Rather than setting up the logistics and infrastructure required offer furniture assembly services, IKEA purchased TaskRabbit, a company that already had services figured out. As a result, IKEA was able to roll out furniture services much more efficiently. Not every business can afford to just acquire other companies, but there’s still a great lesson to be learned here: if it makes sense for your company, collaborate with a third party who can help make your expansion goals a reality. Find a partner then come up with a win-win agreement that will help you both add value to your customers’ lives. How to design in-store experiences that delight customers and keep them coming back. How to automate or streamline repetitive tasks so you can be more productive and focus on serving your customers and growing your business. How to increase repeat purchases through creative loyalty strategies, clever use of data, and modern-day rewards programs. What are the ways in which retailers can expand their business? Weigh in in the comments below. Relevant and impressive tips you have shared, you also add more channel like providing affiliate deals or providing commission to bloggers to place your products and services in there blog. Also acquire small business who has good will in the market can also boost your expansion. You can check few Tips for Successful Business Acquisition tips to take your business to next level.